How do you release a platinum record? Apparently, you drop it unexpectedly, in the middle of the night, with no advance marketing, using a narrow set of channels. At least, that’s what you can do if you’re Beyoncé. Good news: it doesn’t take a worldwide fanbase of millions to create the kind of buzz Beyoncé can (though it certainly doesn’t hurt). Take a page out of Beyoncé’s book by following these steps as you build or rethink your company’s brand. You can’t expect to accomplish much without a clear identity. Beyoncé has been in the public eye for almost 20 years and throughout that time has maintained a consistent image. She is on brand from her music, to her fashion, to her performances, and the subtle glimpses she gives into her personal life. To her fans she is empowered, she is savvy, she is every woman, and she is also “Queen”. That Beyoncé bridges the gap between every woman and Queen, hits at another lesson – the best brands master empathy. 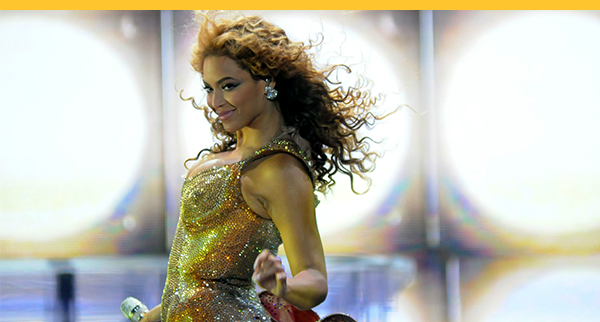 Beyoncé is not popular because she is glamorous – she is popular because she conveys that glamour in a relatable way. Her media appearances, social media, and lyrics are designed to give her fans a feeling of mutual understanding. As a result, though Beyoncé is far from ordinary, the contradiction underlying her massive success is that to fans she occupies unattainable heights while also being a familiar (if improved) version of themselves. In the age of rapid-fire responsiveness (thanks, social media), Beyoncé shows us it’s all about harnessing the internet’s frenzy to do your marketing for you. Lemonade wasn’t the first time she surprised her fan base and used them as a megaphone. She also dropped her self-titled 2013 album, complete with music videos, in the middle of the night along with a solitary Instagram post with the caption “surprise.” Beyond music, she also created a successful fashion line with no advance promotion. Her fans never quite know what will happen next, and when something does they immediately light up the internet with chatter. Reliability and consistency are important, but there’s also a sort of childlike wonder in being surprised with something new when you least expect it. Brand loyalty is not built just by being dependable — throw in a surprise once in a while and give your fans a reason to be excited. It’s that giddy feeling of anticipation that will keep people tuned in. Though it sounds odd for a pop culture phenomenon, Beyoncé fans are actually part of an exclusive club called the BeyHive and without them, Beyoncé wouldn’t be Beyoncé. This is the group of superfans Beyoncé relies on to generate buzz and fill stadiums when she launches another surprise. But the BeyHive shows you don’t need expensive marketing gimmicks to build the feeling of exclusivity, you just need to offer good content and access: members of the BeyHive get early opportunities to purchase concert tickets, unique messages, and an opportunity to connect with each other. With the right branding that’s all it takes. Maybe you’re not the Beyoncé of paper supply, car parts, or website development, but that doesn’t mean you can’t market like her. Looking to engender empathy like Beyoncé? Learn how with my FREE Small Data ebook. This originally appeared on LinkedIn.